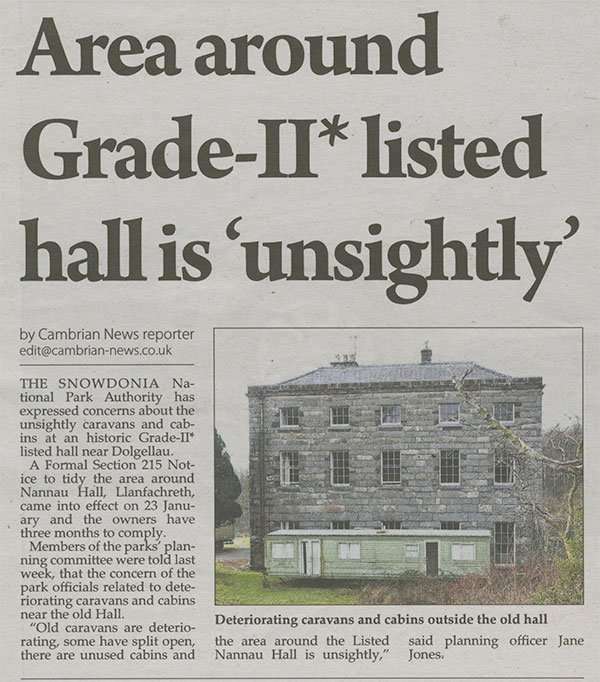 The Snowdonia National Park Authority has expressed concerns about the unsightly caravans and cabins at an historic Grade-II* listed hall near Dolgellau. A Formal Section 215 Notice to tidy the area around Nannau Hall, Llanfachreth, came into effect on 23rd January and the owners have three months to comply. Members of the parks planning committee were told last week, that the concern of the park officials related to deteriorating caravans and cabins near the old Hall. “Old caravans are deteriorating, some have split open, there are unused cabins and the area around the Listed Nannau Hall is unsightly,” said planning offer Jane Jones. 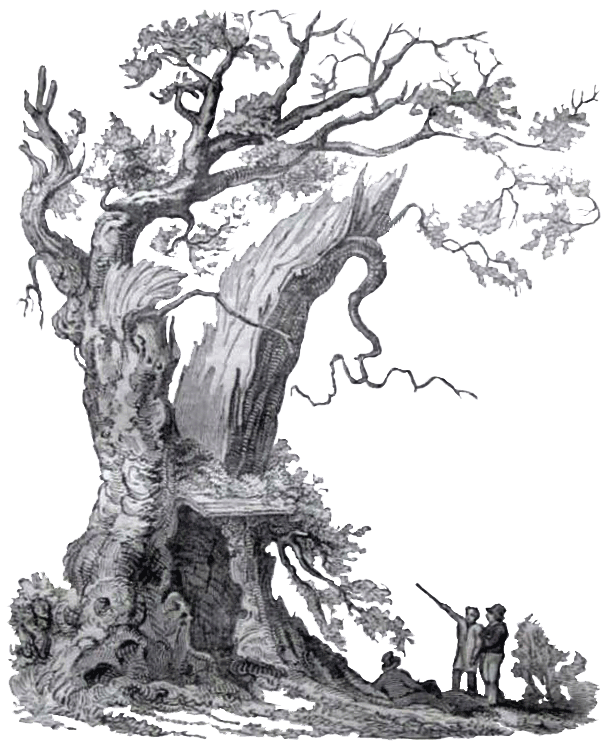 Opening the Cambrian News last week to see photographs of Nannau, I was heartened to think that Snowdonia National Park Authority were finally taking action to safeguard the future of the plas. That feeling quickly turned to dismay and disbelief to find that your article concerned nothing more than tidying up the mess around the house. 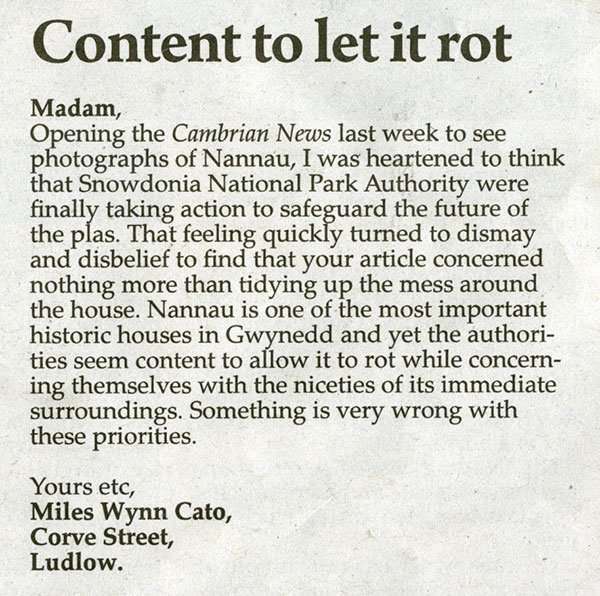 Nannau is one of the most important historic houses in Gwynedd and yet the authorities seem content to allow it to rot while concerning themselves with the niceties of its immediate surroundings. Something is very wrong with these priorities.